His full name is Abdulaziz Bin Saleh Bin Ahmad Bin Muhammad Az-Zahrani, one of the Saudi Arabia’s Quran reciters, and one of the most popular Imams in Jeddah. 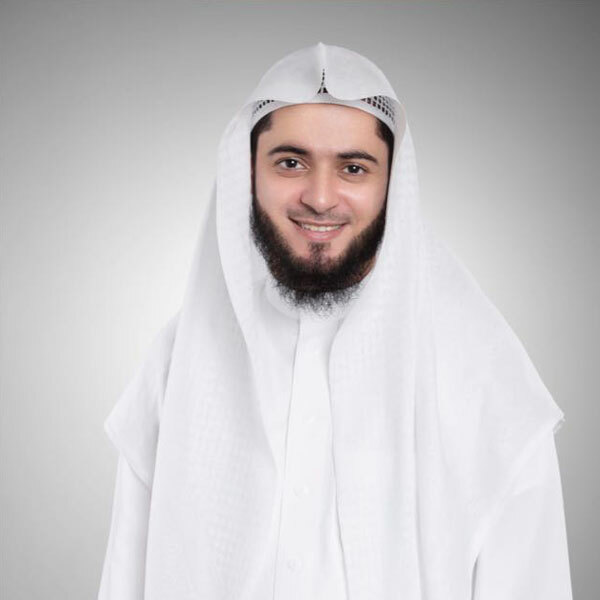 Sheikh Abdulaziz was born in 1980 in Jeddah, and he was brought up in a Quranic family, as his father was a Hafiz of the Quran and it is thanks to him that Sheikh Abdulaziz was able to memorize the whole Quran only at the age of 15. He was also an Imam along side with his brother Sheikh Abdulrahman Az-Zahrani in a mosque that was supervised by their father. Sheikh Abdulaziz was one of those people who are keen on completing their academic path before starting a career. In fact, once he completed his mid and high school studies, he joined King Abdulaziz University, exactly in the faculty of literature and humanitarian studies in Jeddah. Also, the reciter Abdulaziz Az-Zahrani was schooled by numerous sheikhs, most notably his father, Sheikh Abdu Jawdah, Sheikh Mahmoud Faraj, Sheikh Abdul Qayoum Al-Sanadi, Sheikh Salim Az-Zahrani, and Sheikh Walid Al Mesbahi. Following his graduation, Sheikh Abdulaziz Az-zahrani worked as a Quran reciter, alongside with his work as an Imam in “Ibn Al Yamani” mosque in Jeddah, and a preacher in “Al Subaie” mosque in the same city. Also, he was appointed as an Imam of the “Taraweeh” prayers in the King Fahd’s mosque in Jeddah.